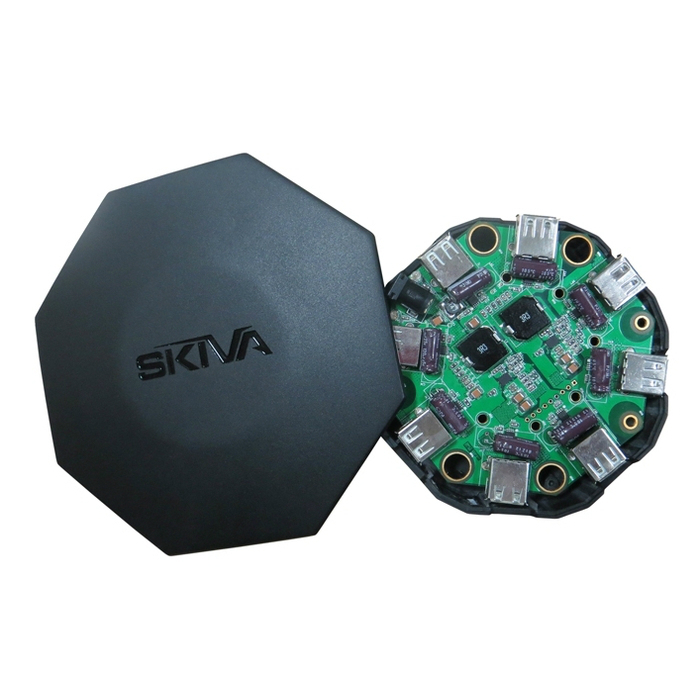 When we first heard about the Skiva PowerFlow OctoFire, Bertel called it the Bugatti Veyron of USB hubs. With 8 ports that are all capable of going up to 2.1A of output and a total of 84 Watts, the OctoFire doesn't skimp on power. You could plug 8 Nexus 9s simultaneously and they should all charge as fast as if you were using a regular wall charger with no limit on the allocation of wattage to each port.